fuboTV is building on its success as a standalone app on iPhone, iPad, and Apple TV by integrating with several valuable features that let subscribers more easily discover and watch their favorite sports, including the NBA, NHL, English Premier League, La Liga, UEFA, Pac-12, and more, as well as shows and movies. fuboTV is now integrated with the Apple TV app, where subscribers can access and keep track of what they are watching from fuboTV’s live sports programming across nationally available channels — alongside their favorite on-demand shows and movies. Users will see fuboTV’s video-on-demand content and live sports in the Apple TV app’s Watch Now section and can add shows, movies, and games to Up Next, ensuring they never miss a new game or episode. Fans can favorite teams to follow their games in Up Next, and receive notifications on their Apple devices when their team is playing or a game is close. fuboTV is one of the first virtual MVPDs (vMVPDs) to integrate with the Apple TV app, as well as Siri and, coming soon, single sign-on. Subscribers can now simply ask Siri to quickly search for their favorite fuboTV content. 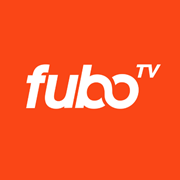 With forthcoming single sign-on integration, fuboTV subscribers will soon be able to log in once with their credentials to seamlessly unlock access to third-party video apps on iPhone, iPad, and Apple TV.